Kimi Raikkonen has hit back after critics called on him to be banned for his British Grand Prix crash. The Finn has recovered from a bruised ankle, knee and ribs after the 47G crash at Silverstone, in which Felipe Massa was also involved and Max Chilton’s head narrowly avoided a flying tyre. “Why does he come in balls out like that and crash?” F1 legend Niki Lauda had said at Silverstone, referring to the way in which Raikkonen rejoined the circuit after running wide. Jo Ramirez, the former McLaren team manager, said Raikkonen’s driving was “ludicrous”. “He could have seriously hurt himself,” the Mexican told motorline.cc, “or worse, he could have hurt Massa as well. And yet he gets away without any punishment. “I thought Derek Warwick was the steward so I wrote to him, but it was Nigel Mansell. But Warwick replied to me ‘You’re right! Raikkonen should have been punished! '” Ramirez revealed. “If it would have been Maldonado or Grosjean, they would have sat out Germany, for sure,” he charged. 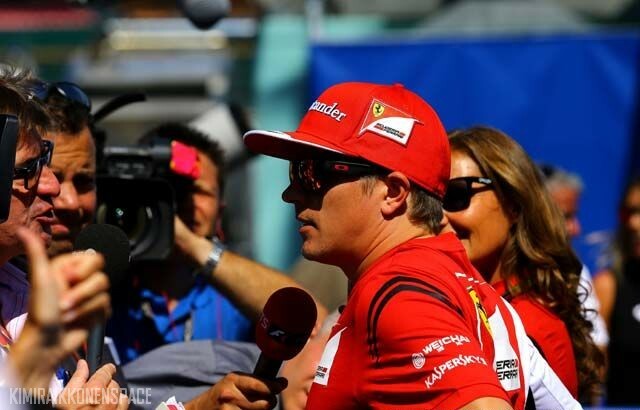 At Hockenheim, however, Raikkonen dismissed his critics, telling the Finnish broadcaster MTV3 that punishments are not necessary “every time a driver goes off the track”.